Well, the cat's out of the bag! I was planning to talk about this in a couple of months, but it's already been posted out in cyberspace, so I'll talk about it now. My last concert with the Boston Symphony will be December 17th. It's been a long and very productive 32 years. And today, October 27th, is the date I won the audtion in 1975. What a day that was! I had a 102 degree fever! And I didn't really care what happened! I think that was a good thing because I just played very uninhibitedly. It was a rainy day, just like today here in Boston. 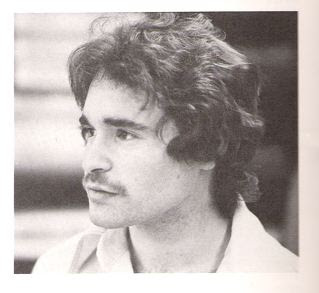 I was very proud to have gotten into the BSO, for that was the orchestra I always thought about when I was younger because my uncle, Sherman Walt, was first bassoon and many of my mentors, of which he was one, were in the orchestra. And now I was a member. Many people have asked me why I am leaving the orchestra. Even colleagues say, "Aren't you too young to retire? What are you going to do?" My usual response is, "I've been in 32 years. How many 32 year periods do we have?" 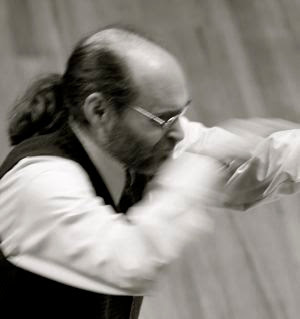 I have a huge part of my life, separate from the BSO, that I want to deepen and expand upon, like composing and teaching and other personal interests, including playing in other ways. Tonight, I will be playing Bruckner's "Symphony No. 9" for one of the last times with the BSO. It's an interesting place to be in myself. "On With the Battle of Life!" Bert: "So you generally start with the same note everyday?" Master Manlon: " Yes, I do. It is amazing how different that note can feel. And even if that note doesn't feel too different, other things in my warm up might. Yes, Antil, did you want to say something?" Antil: "I notice the difference in my air capacity. Some days, it feels like my air comes in very quickly and easily. Some day,s it seems like a big effort. On the days it feels like a big effort, what can I do to get past that obstacle sooner?" Master Manlon: "The Golden Rule, which I'm sure you have heard many times is: Start with what you 'can do.' If you can't take a full, large breath, find out what kind of breath feels better. Perhaps, a faster but shorter breath. Start playing with half of your air capacity and see how it feels. Perhaps, you need to focus more on exhalation. See how that focus alters your inhalation. Sometimes, if we sit and work with what is and get in tune with that, then we will find movement usually starting to happen. Remember, sometimes the physiology will not support our concept or our concept might not fit our habitual way of going on." Antil: "Is that why concepts are hard to change because they basically have just become unconscious habits?" Master Manlon: "Yes, but there is more to it than that. It goes deeper because the concept that has become habit has also become an identity. For instance, if a person is known to others as having extremely fast technique and they end up getting arthhritis or have an accident, can they, or more precisely, will they allow themselves to change in order to continue to play? Or will their identity for being known as a speedster not let them?" Antil: "It makes me wonder, if we think about music as a living thing, something that we are in service to rather than as our sole identity, we might not get as attached to our abilities and the constant need for recognition." Master Manlon: "That is an excellent attitude to develop... It takes awhile to grow into this state of consciousness. So, if you still feel the need for a lot of recognition, it's OK, as long as you keep moving on...."
The above is from my book in progress, "The TAC Legend Writings." Click here, here and here to read other excerpts. It was a cold, winter morning in Minneapolis. Saturday, January 13, 1969. The time was 11:00 AM and the place was the music education building at the University of Minnesota. I knocked on the door and a roundish, friendly man came to the door and said, "Hello! I will be with you in a few minutes." I remember feeing a little embarrassed that I interrupted him in a lesson he was giving. Five minutes later, he opened up the door and said, "Hello! I'm Steven Zellmer. You must be Norman." I said, "Yes!" He then introduced me to his student, who was a college student by the name of Jim Taylor. Jim said, "Hello, Norman. I heard you a couple of years ago at the St. Paul Philharmonic Summer Music Camp playing 'Morceau Symphonique' with orchestra. It was very good." I responded, "Thank you but I've improved a lot since then!" Jim looked at me warmly and said, "Haven't we all!" I'll never forget that first lesson. Mr. Zellmer was so friendly. He heard me play and said, "That's very unique and unusual playing, but if you want to get a job in this country, you'll have to sound a bit more like everyone else." He was a great teacher--always looking to see that the quality of sound was even and consistent throughout all registers. We worked a lot on basics and orchestral excerpts. 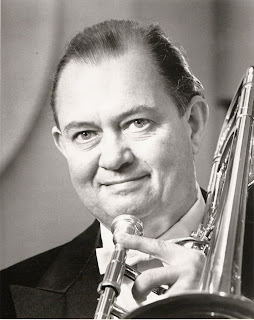 He had a profound love for the orchestral literature and the trombone's role in the orchestra. Sometimes, he would give me half of my money back at the end of the lesson and tell me to go buy this recording or that recording and to listen to it carefully. Mr. Zellmer himself had a very pure tone with a beautiful high range. I remember hearing him do Beethoven's Fifth with the Minnesota Orchestra. He would come out at least a half hour before the concert and warm up his high notes on stage. His high D's, E's and F's had great clarity and they sounded easy. He played these on his Conn 8H and Bach 6-1/2AL mouthpiece. Steven Zellmer was a wine collector, stamp collector, gardener, investor and an avid astrologer! In fact, after I played for him at my first lesson, he asked me, "When is your birthday?" I told him it was January 17th and he said, "You're a Capricorn! Many great trombonists are Capricorns." That was my introduction into astrology! I called him on his 70th birthday, which was November 28, 1995. He was so delighted and touched. He said to me, with deep emotion and gratitude, "You remembered." He passed away exactly six weeks later. He left in his will a large sum of money for the Minnesota Orchestra to start the Zellmer-Minnesota Orchestra Trombone Competition. I was commissioned to write two solos with piano accompaniment for this competition. 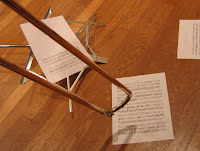 The tenor trombone solo is called "Morning Walk," which is about his life, and the bass trombone solo is called "Sagittarius2," which is about his astrological and numerological influences. 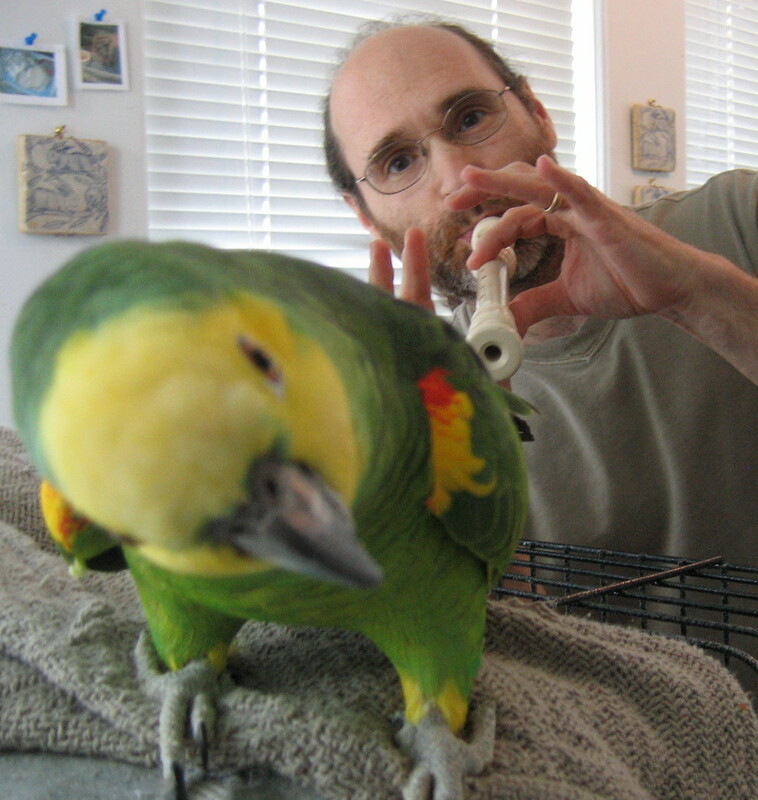 Almost every day, I play his favorite etude, "No. 45" from P. Bona's "Rhythmical Articulations." I play this while looking at his picture, mentally giving him thanks for all his warmth, love and encouragement. You can hear sound clips from "Morning Walk" and "Sagittarius2" on the iTunes page for my "Occurrences" CD or on our website. It was 1965, 10:00 AM in the morning, in my elementary school gymnasium. The whole school, grades K-6, were invited to hear some of the students play solos. My solo was an arrangement of "The Saints Go Marching In," for trombone and piano. I was all ready! I walked out onto the floor and looked at all the kids. There seemed to be a real lot of them! So, I started playing and it seemed to be going pretty well, when all of a sudden, I went out to sixth position and the slide made direct contact with the music stand! Bang! The stand fell to the floor. The music flew all over the place. Kids were laughing! But I was running after the music, still trying to play the solo, reading the pages of the music from their new found positions, on the floor. Afterwards, even though the kids were laughing, and I was quite embarassed, I got a good round of applause and a special congratulations from my band director, as he said, "That's the way to go after it!" Another Excerpt from "The TAC Legend Writings"